JFC can provide credit cards processing merchant accounts without any hassles. We offer competitive rates and offer FREE setup. We include an easy to use internet gateway. Whether you are starting a new project or are unhappy with your shopping cart, JFC can setup and configure a shopping cart quickly at affordable rates. This setup includes product code creation, payment set up, s/h options and integration with our order management software. We understand that managing inventory for our clients is an important service. We strive to maintain the safety of your goods and keep accurate counts. Our web based order management software allows our clients 24/7 real-time access to inventory counts and we undergo frequent physical counts. JFC ships all orders within 1 business day. Our employees are pushed to be accurate and efficient. We manage items in unique bins for each SKU. 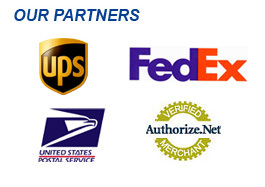 We can ship orders through our accounts or on your own. We understand that each client is unique in how they want to handle returned merchandise. We work with our clients to develop a return handling procedure that ensures we carry out your plan. We can receive the item, determine if the item should be restocked and process exchanges and refunds. JFC provides quality customer service by phone and email for those clients looking to outsource. We offer client specific lines and can handle customer shipment issues easily since ourcustomer service department is on same site as warehouse. This service is offered Monday through Friday 9am-4pm PST.